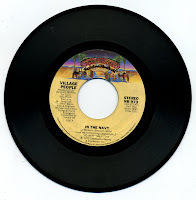 The song 'In the navy' was basically a promotion for the navy, describing it as an attractive employer. Until the bridge, when the lead singer declares upon hearing 'They want you': 'Who me? But... but... but... I'm afraid of water!'. It was a weird twist in the song that I understood even with my basic knowledge of English when I heard this song when I was nine years old. Another track I've featured on this blog before, but now in the shorter single version, as opposed to the long 12" version. 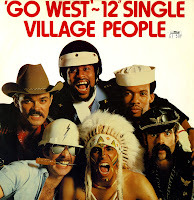 'Go west' peaked at number 31 in the Netherlands in the summer of 1979. At the same time, it made number 15 in the UK. At the time, I was spending my weekly allowance of 3 guilders in the local record shop. While chart singles cost 6 guilders, the shop discounted them once they left the Top 40. I went round that shop almost every week, hoping for something good to be available. I seem to recall that this catch was a relative disappointment, since more singles had left the chart, but they were already sold out. So I made do with this one. I'm glad I have it now, because of course it is the original version of the Pet Shop Boys' 1992 cover version. But how was I to know? 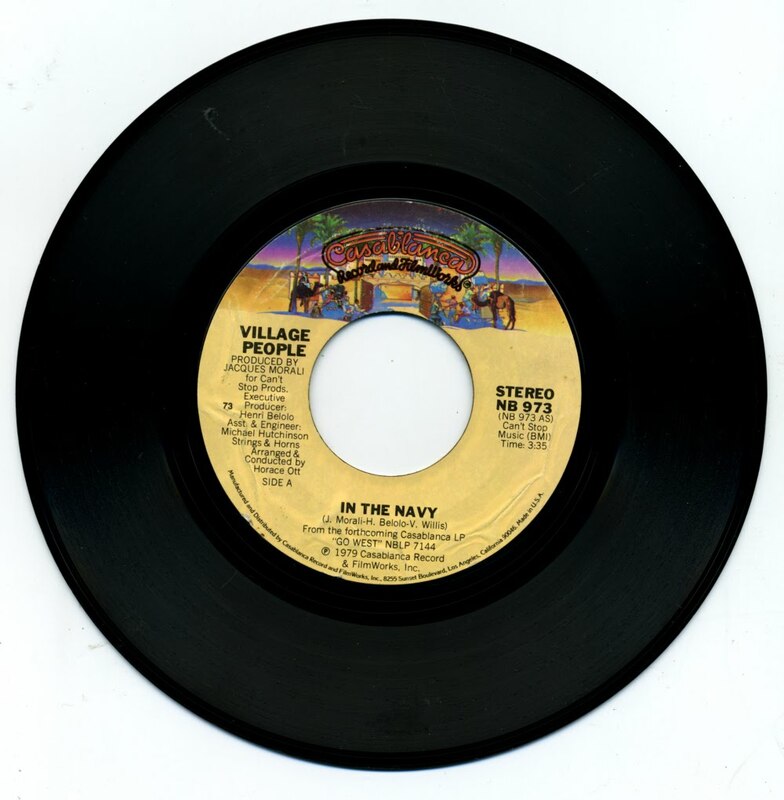 The Village People had the biggest hit of their career with 'Y.M.C.A. ', a number one hit in the UK and the Netherlands, peaking at number 2 in the USA. Taking the song at face value, its lyrics marvel at the virtues of the Young Men's Christian Association. In the gay culture, from which the group sprang, the song was understood as celebrating the Y.M.C.A. 's reputation as a popular cruising and hookup spot, particularly for the younger gay men to whom it was addressed. As such, this disco classic became a gay anthem, but bizarrely enough also a favourite at wedding parties and school dances. 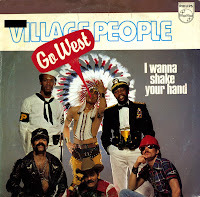 The Village People were big in the gay scene at the end of the 1970's. They managed to break into the mainstream thanks to their catchy and memorable songs, often inspired by gimmicks. 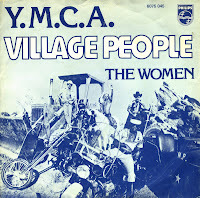 Their best known tracks were 'Y.M.C.A.' and 'In the navy'. However, 'Go west' was also a rather successful song, not least because it was covered in 1992 by the Pet Shop Boys. I bought the single back in 1979 soon after it came out, but the 12" single is a relatively new acquisition. It features extended mixes of the title track and the B-side. An essential disco track.